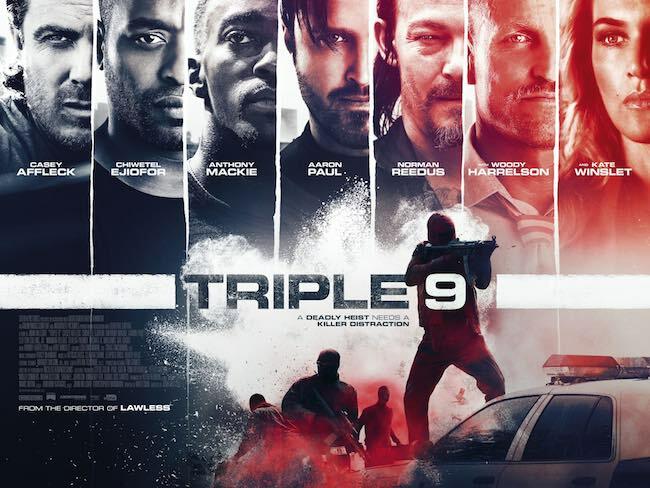 FilmJuice Competition: We’re offering you the chance to win incredible merchandise with Triple 9. For your chance to win, simply answer this question (entry details at the bottom of page): What colour is the smoke that erupts from the black sack and covers everyone’s clothes? A deadly heist needs a killer distraction in the action packed and star studded film TRIPLE 9. The action thriller stars Aaron Paul, Norman Reedus and Chiwetel Ejiofor and we’re giving you the chance to win some amazing merchandise. Also starring in the gripping thriller is Casey Affleck, Anthony Mackie, Gal Gadot, Woody Harrelson and Kate Winslet.